I am mildly addicted to YouTube and could lose hours watching it. It has been a wonderful tool that has helped me fix a garbage disposal, work out how to get a translation module to work on my business website and best of all, it just makes me laugh. Who doesn’t love an entertaining video like this? 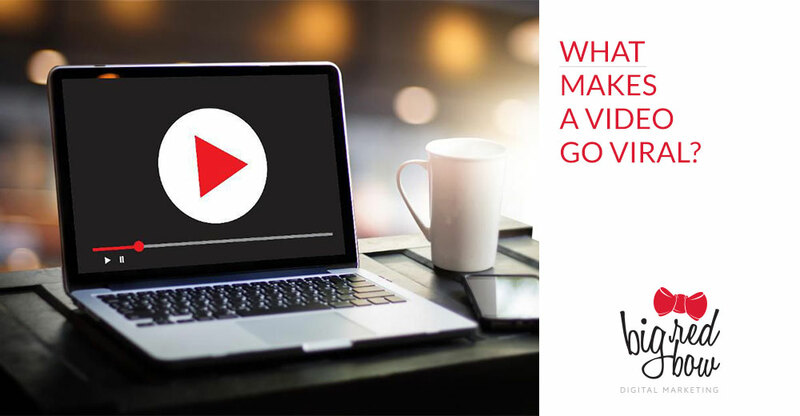 So, what makes a video go viral? We see it all the time in the newsfeeds on Facebook. How does it happen? What makes a video reach so many, so fast? The TED talk by Kevin Allocca, Trends Manager for YouTube, may give you a better understanding. In this TED Talk, Kevin Allocca highlights 3 points. Kevin Allocca mentions how influential tastemakers can be in popularity. An example was Bear Vasqquez video that was posted in January 2010. In July of 2010, the video became viral after Jimmy Kimmel tweeted about the video. After the tweet the YouTube video has now been viewed over 23 million times. Tastemakers are often the link between the audience and the viral video. Tastemakers tend to be TV personalities, bloggers or those with a larger following that has the ability to introduce a video to a large audience. Viewers no longer want to just enjoy, but they want to participate. Viewers want to review, share or participate by uploading views. Many new celebrities are being discovered by viral YouTube videos. Celebrities such as Justin Beiber, Cody Simpson, Austin Mahone, Soulja Boy, Esmée Denters, just to name a few. As viewer we want to participate and become a part of the phenomenon. Expect the unexpected! As viewers we want to be entertained. Whether it’s laughing, crying or anything in-between. Some of the most unexpected things have the biggest impact. In the TED Talk, Kevin Allocca highlights this video by Casey Neistat. Casey received a ticket for not riding in the bike lane. He wanted to highlight why it isn’t the safest place to ride your bike. This video was both entertaining and unexpected. To date this video has a current view count of 12,805,617. New media such as YouTube is on the rise. Everyday people have ownership and are shaping this new pop culture. What’s next? We will have to wait and see. Until then, enjoy being entertained by the variety of videos that can only be provided by YouTube.